Hart blames himself for the pass at the end of the game. Kuzma and Hart blame themselves for whatever happened, but Hart seems to be taking it extremely hard. Mainly because if its on the mark, and Kuzma has it on the mark, BI is wide open and we get it to a second overtime. But these things unfortunately happen and we had to play essentially the 2nd half of a game we were dominating, without our point guard that was wrecking their defense. Honestly, why is he playing? He's not some star who is in a rut and eventually will get it together. He went from not providing anything to blatantly hurting us. He can't shoot. He can't defend. He's not a play maker. So, why is he playing? This has been over a month long now. How long can we continue to just trot him out there? Hart needs to get better fast. His 3 shot has disappeared wtf. It's almost like he was gunning for the Summer League MVP and worked on other aspects of his game instead of focusing on his shot. Because his shot is what's going to be his money maker, not the other aspects of the game where he's not elite. 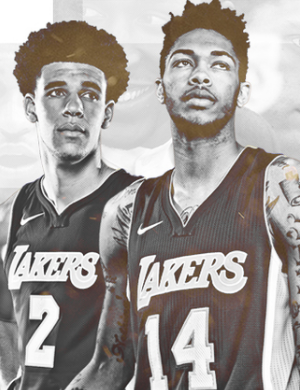 Trade talk is definitely affecting his play but you can blame that on the FO, if they come out and say Hart is apart of this team he would play with more fire, I think there is a very good chance Hart is gonna be moved, the FO doesn’t value him and the DSJ trade talk likely suggests that the Lakers will move him for any sort of value. If trade talk affects his play to this degree then he shouldn't be playing ball, trade talks/rumors call it whatever you like happen to the best of them. He just hasn't been performing for the past month. Yes it happens to the best of them and the best become discouraged when they find out there team is trying to move them, that is a big reason why Pau Gasol started to play like trash when he was a Laker. Not surprised. Josh was playing those SPL games like they were regular season games. I love this dude's toughness but it comes at a price. Hopefully, he continues his skill development so he can save his body a little. He is trade filler at this point. He’s below Zubac on the young core totem pole. Blessing in disguise? his recent crappy play has the Pelicans likely not wanting anything to do with him. I haven’t seen him in any trade scenario. He then magically regains his form from the latter part of last season after the trade. I'm starting to think he's not even an NBA player at this point. He needs to stop stealing rebounds from teammates. I still love him. He'll put it together again. seriously what happened to hart? hes been straight up garbage.